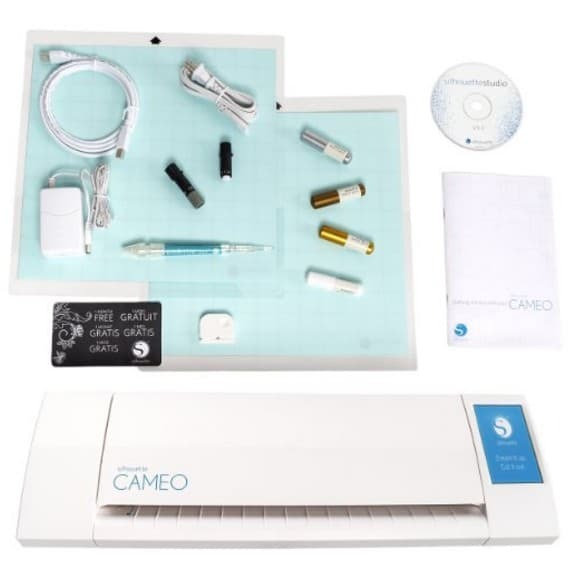 The Silhouette Cameo — Starter Bundle is on sale for $179.99 at Amazon right now. That's 48% off the list price of $344.95! This bundle includes a New Silhouette CAMEO, 2 12″x12″ cutting mats, 2 cutting blades, a Silhouette Pick Me Up tool, a Silhouette Metallic Sketch Pen Pack, and a $25 download card for the Silhouette Design Store.